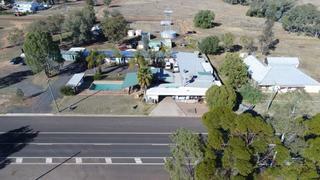 Situated on the Warrego Highway between Roma and Mitchell. The pub boasts a long history having been built in 1912, today in 2017 “the pub Muka” as it's known by the locals is still a great pub to visit. Whether you’re a local from the region or travellers with a van touring the outback, the Muckadilla is a must stop.